Throughout these hot days, thermometer is a pretty useful device. It’s usually made with mercury and it isn’t really precise as it could be. That’s why with Arduino we’ll be able to easily, quickly and precisely see what’s the temperature. Let’s get to it! *In this image 7 segment 4 digit display has 16 pins, but in the project a 12 pin display was used. If you have the one with 12 pins, just discard the far left and far right pins on this image and keep connecting. 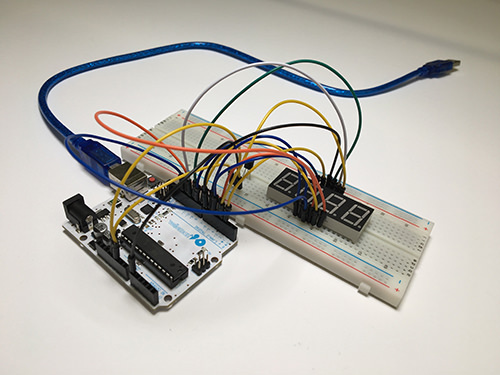 If you don’t have the same one, check out the datasheet for your display and see for what is each pin used. 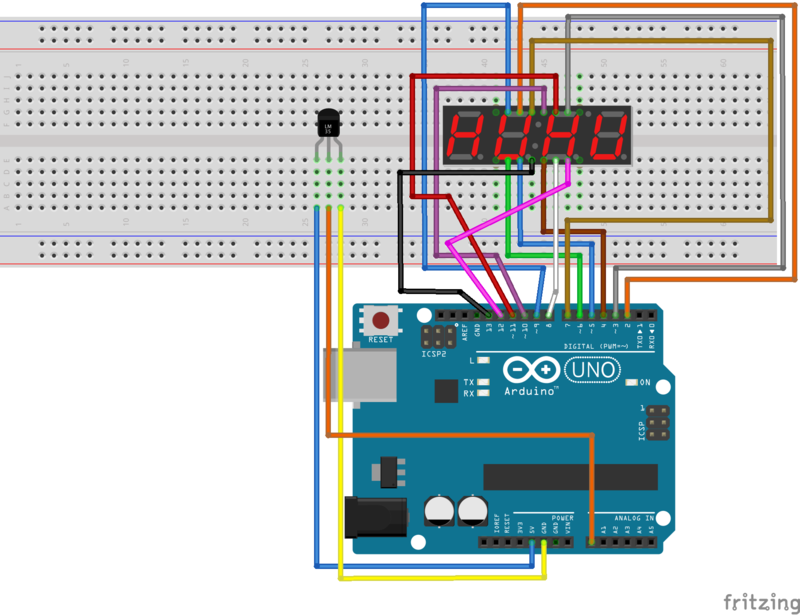 Once that’s done, connect your Arduino to your PC and upload this sketch below.